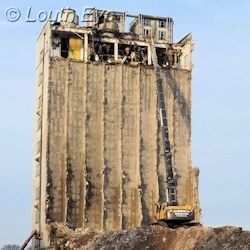 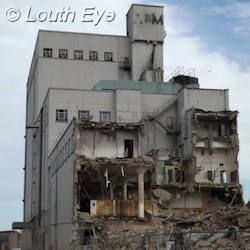 One of the first things I posted on this website, in January 2004, was a post about the Malt Kiln's demolition. 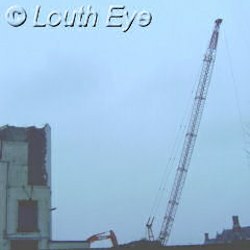 Back then the contractors attempted to use a giant crane, and the noise of the ball smashing against concrete resounded around town. 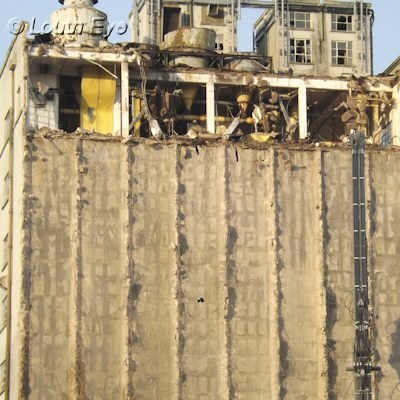 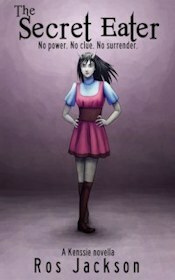 That attempt failed, and it was eleven years before GBM succeeded in bringing the vast industrial building down. It was targeted by urban explorers in 2008, and colonised by pigeons. 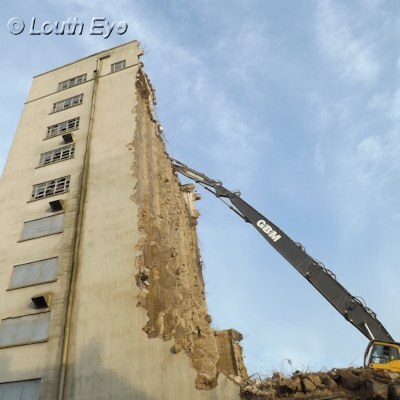 GBM used a "Nibbler" to demolish the building bit by bit. 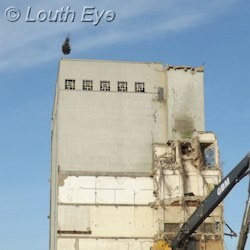 It was considerably quieter than the crane with the giant ball, although the work still threw up a lot of dust. 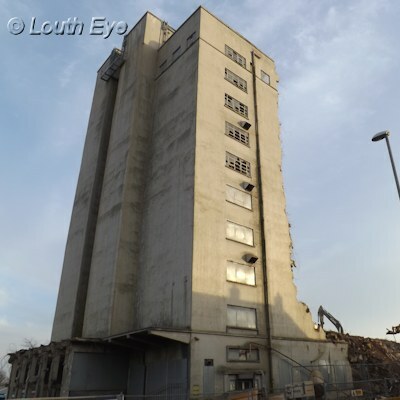 Work started on demolition in October, and is scheduled to continue until February 13th. 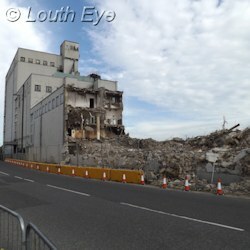 Aldi will then begin building their new store on the site. 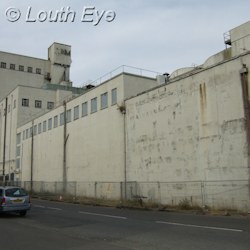 The town council discussed tweeting, Aldi's plans for the Malt Kiln, and planning applications. 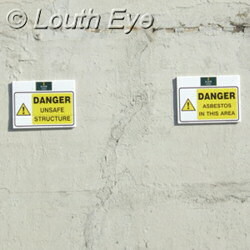 People are risking injury by trespassing in unsafe buildings in the Louth area. 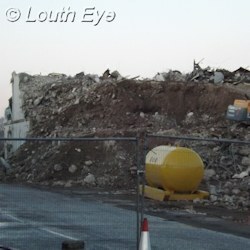 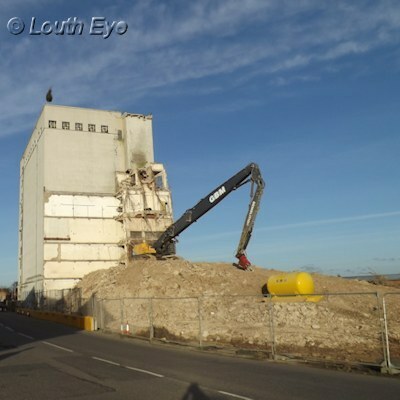 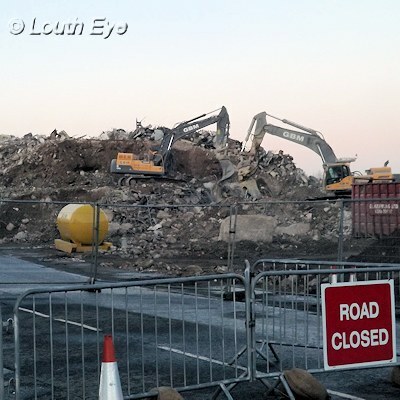 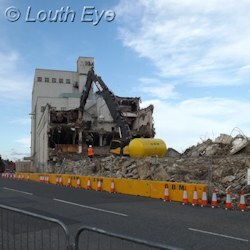 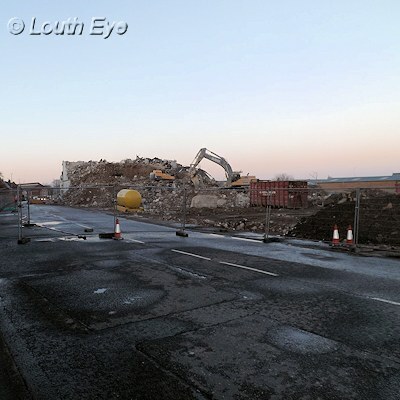 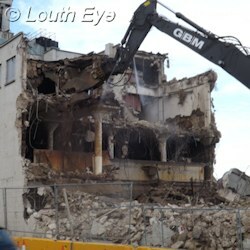 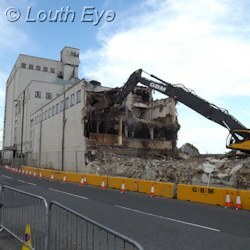 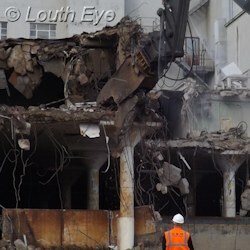 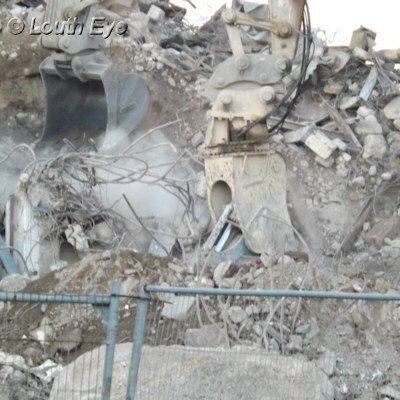 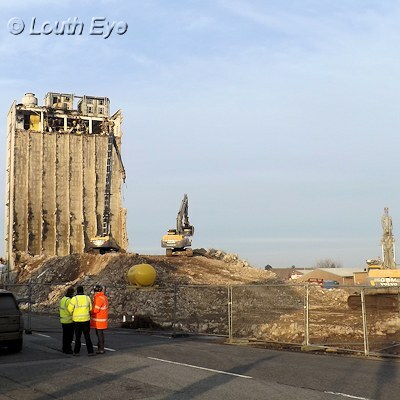 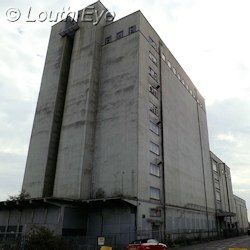 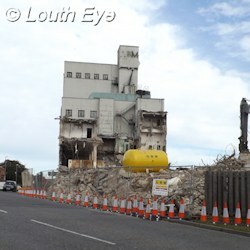 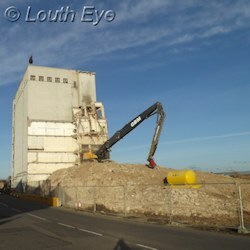 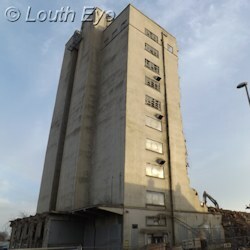 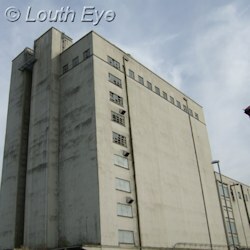 The demolition of Louth's tallest industrial building.